Send details of Lyme Grove, Romiley, Stockport, Cheshire to a friend by completing the information below. 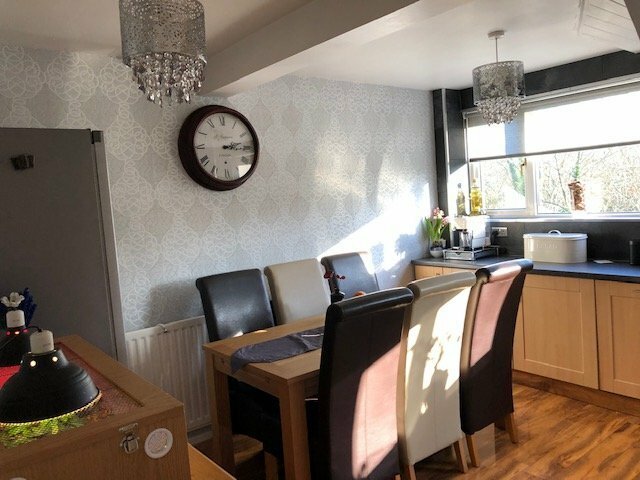 ***5 BEDROOMS***2 BATHROOMS*** This home is an impeccable 3 storey, 5 bedroomed, 2-bathroom town house providing immaculate “ready to move-in-to” versatile accommodation with the benefit of many modern fixtures, fittings and features. Aside from three well-proportioned bedrooms on the second floor with a larger than average third bedroom, the ground floor deserves a particular mention due to its superb design layout, which aside from providing the fourth and fifth bedrooms could also be suitable for a variety of other living combinations such as; a ‘Master / Teenager Suite’; additional Receptions rooms or self-contained rooms. Additionally, the main long hallway to the house is retained allowing uninterrupted front to back access to the property and gardens. An internal viewing of this home is highly recommended. 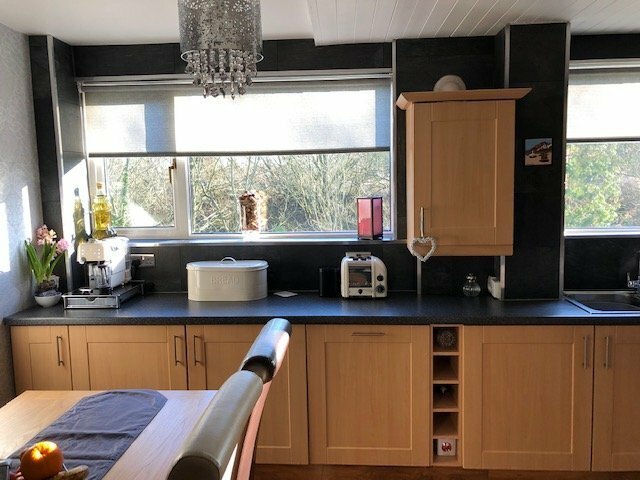 ***5 BEDROOMS***2 BATHROOMS*** This home is an impeccable 3 storey, 5-bedroom, 2-bathroom town house providing immaculate “ready to move-in-to” versatile accommodation with the benefit of many modern fixtures, fittings and features. 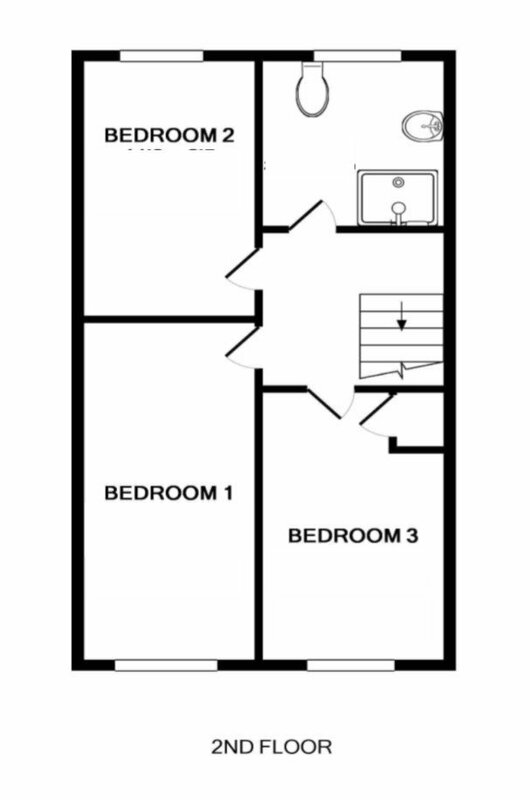 Aside from three well-proportioned bedrooms on the second floor with a larger than average third bedroom, the ground floor deserves a particular mention due to its superb design layout, which aside from providing the fourth and fifth bedrooms could also be suitable for a variety of other living combinations such as; a ‘Master / Teenager Suite’; additional Receptions rooms or self-contained rooms. Additionally, the main long hallway to the house is retained allowing uninterrupted front to back access to the property and gardens. An internal viewing of this home is highly recommended. 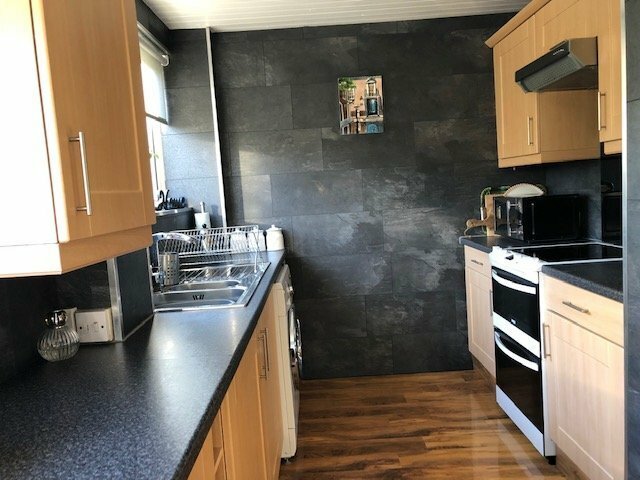 The property benefits form UPVC double glazing, gas central heating, modern decoration and flooring, contemporary shower rooms, fitted kitchen, cul-de-sac location with a driveway to the front and a private enclosed rear garden with a southerly aspect. 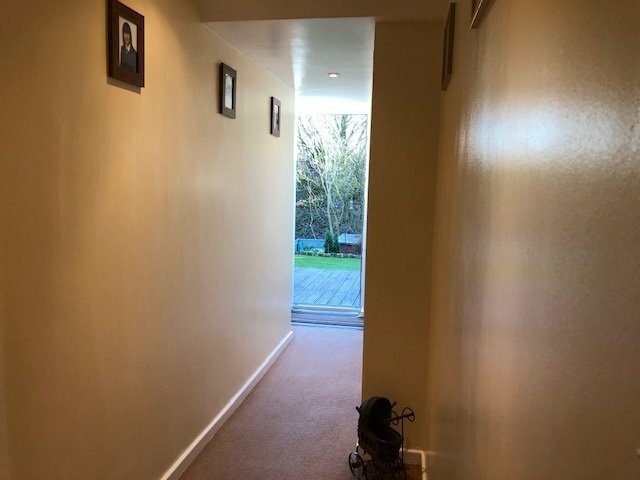 Long entrance HALLWAY leading from the front to the back of the property with front and rear access doors, providing access to an inner hallway to the ground floor accommodation and with a staircase rising to the first floor. 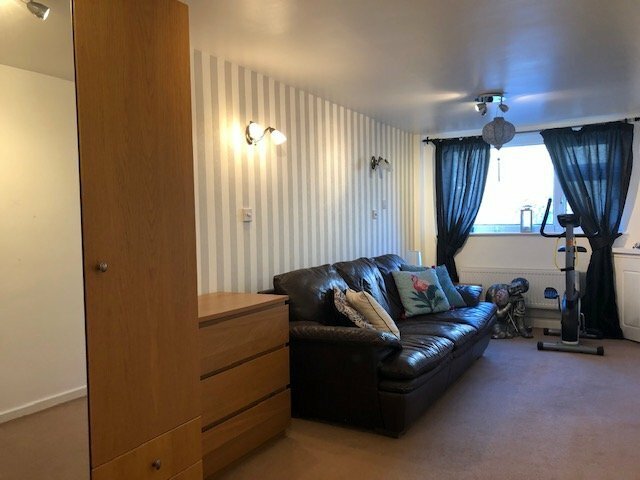 Inner HALLWAY with access to a SHOWER ROOM & BEDROOMS 4 & 5 (or reception rooms) – with UPVC double glazed patio doors to the rear garden. 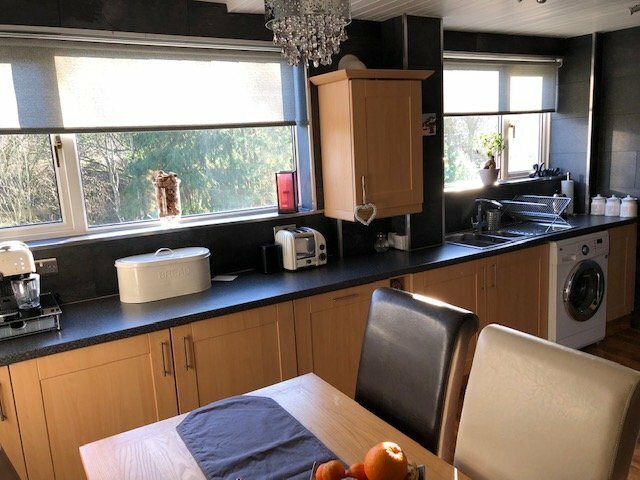 Spacious open plan area consisting of a LOUNGE with a panoramic window to the front and Fitted DINING / KITCHEN to the rear. 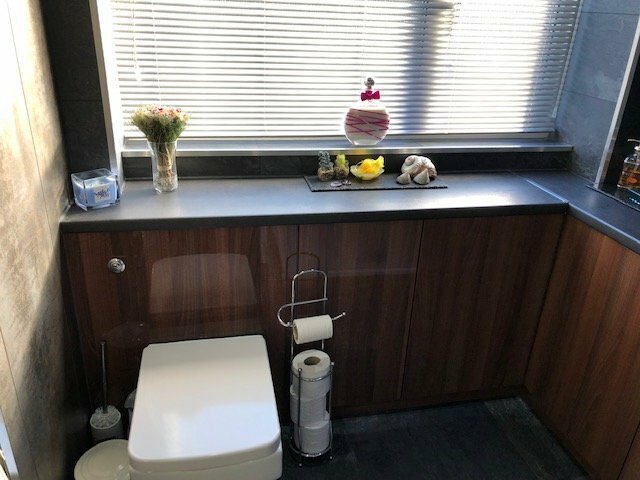 Contemporary SHOWER ROOM with walk-in cubical and glass bowl basin, 3 well-proportioned BEDROOMS. There is a paved driveway to the front of the property, suitable for two cars. The rear garden is accessed from hallway or from patio doors in bedroom 5 / the sun lounge onto a decked patio area. 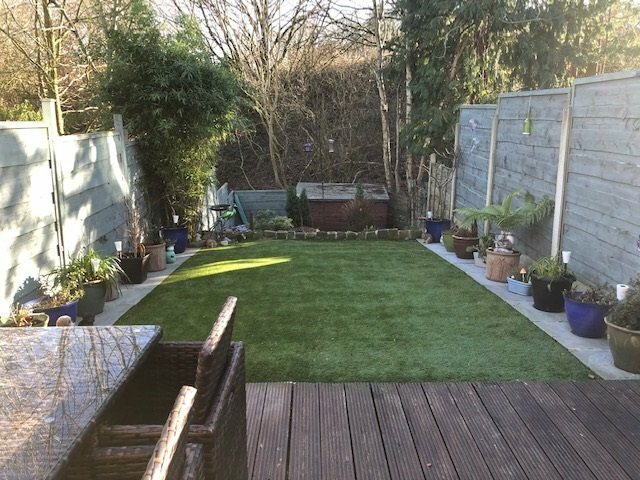 The garden benefits from an Astro-turf lawn, established borders, high level fencing and timber garden shed. 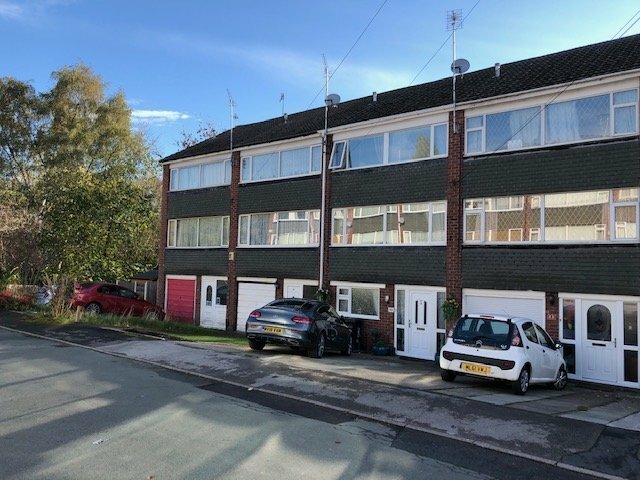 This ideal family home is located on one of Romiley’s most popular and convenient cul-de-sac’s in an established residential area and within easy walking distance to the village centre. 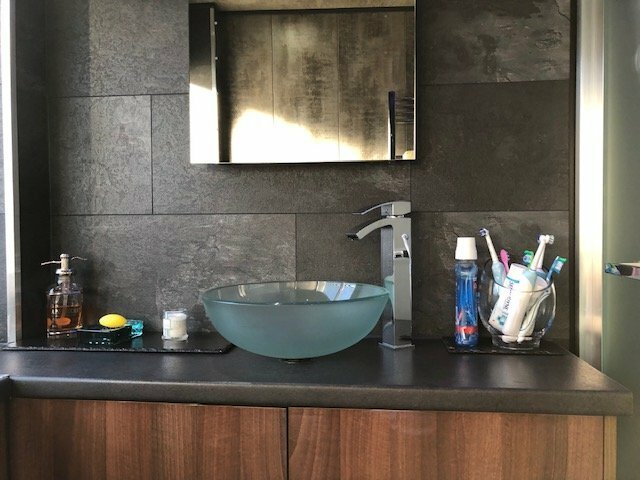 Romiley offers a wide range of local amenities from the village centre, including; numerous independent shops, Sainsbury’s local, Church, Public Park, Coffee Shops, Public Houses, Restaurants & Take-aways. 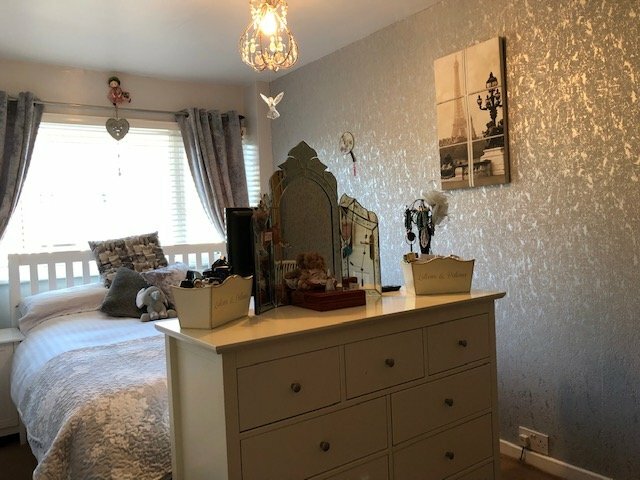 The property is situated within the catchment area for Romiley Primary School, Marple Hall High School and Harrytown RC High School. The nearby Romiley train station allows for easy commuting to Manchester Piccadilly. The M60 orbital motorway can be accessed from Junction 25 at nearby Bredbury and frequent buses provide public transport to Stockport on the Romiley / Marple circular routes. One of the main benefits of living in Romiley is the proximity to the surrounding open countryside with many places accessible within minutes including: Werneth Low Country Park, Etherow Country Park, The Etherow and Goyt Valleys, Brabyns Park, The Peak Forrest Canal, Chadkirk Chapel and Woodlands and Marple Dale. 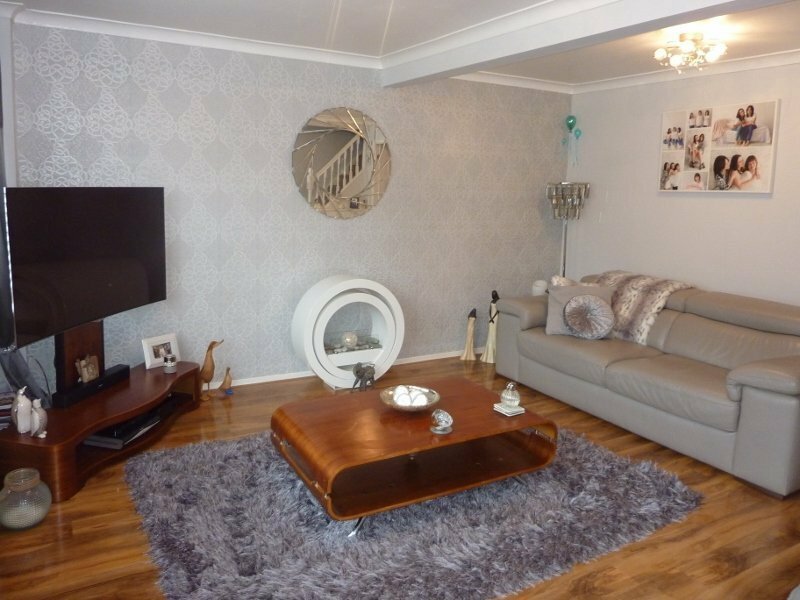 This property is also very close to Tangshutts Fields and Romiley Park. 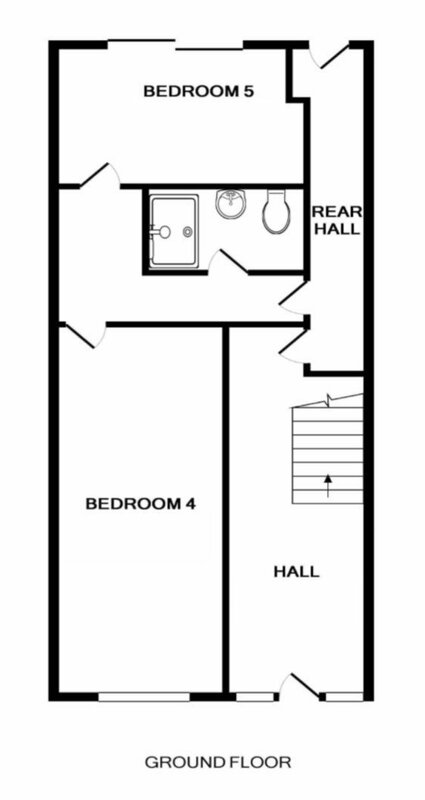 An ‘L’ shaped inner hallway with radiator, carpet flooring, access to the ground floor shower room and bedrooms 4 & 5. 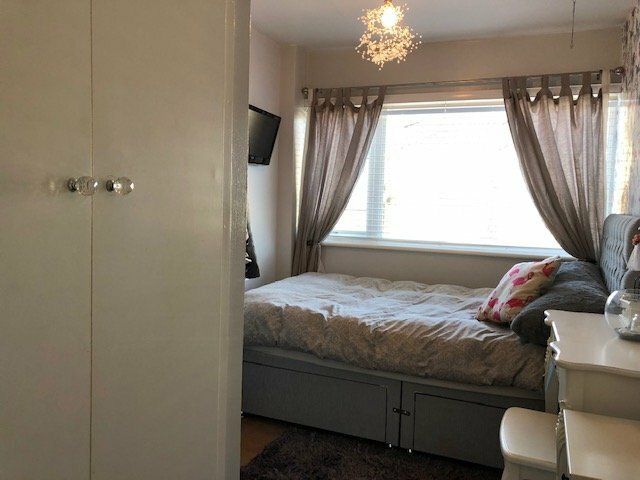 UPVC double glazed window to the front of the property; wall and ceiling light fittings; double radiator, television point; carpet flooring. 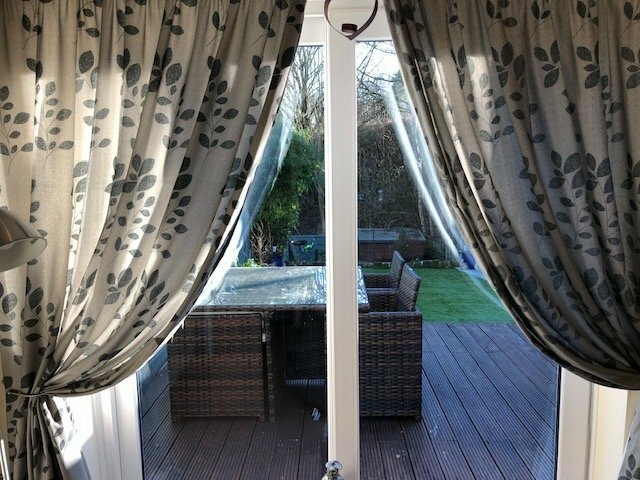 UPVC sliding patio doors leading onto the read garden; radiator, television point; carpet flooring. 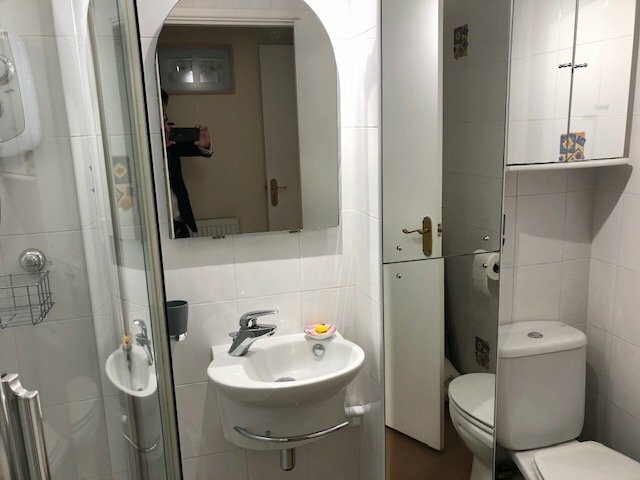 Fitted with a modern white suite comprising; Shower cubical with glazed screen and sliding door and electric Triton shower system; wall mounted wash hand basin with mirror over; low level WC. 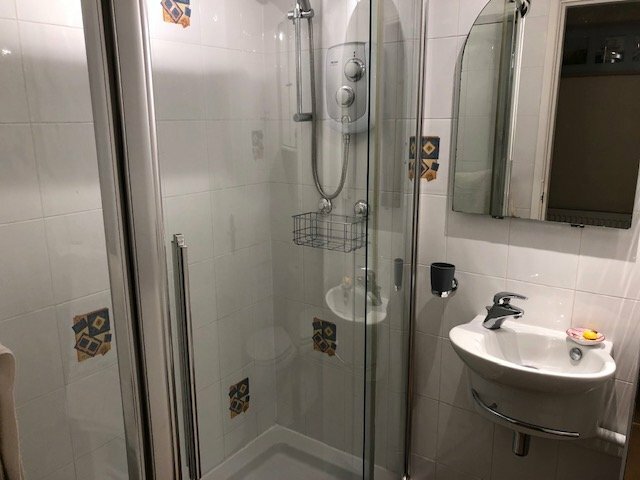 The walls are fully tiled in a white ceramic tile; white heated towel rail; mirrored bathroom cabinet. 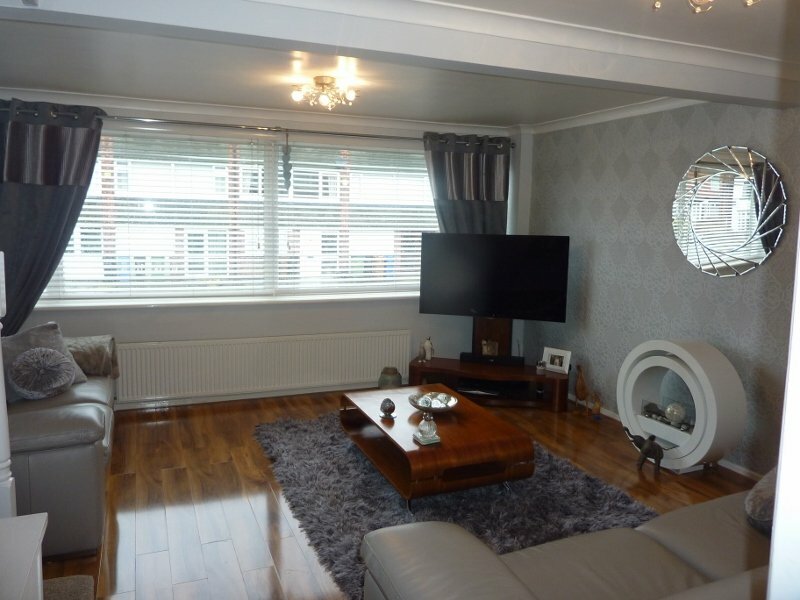 A spacious open plan living area arranged into reception two rooms. 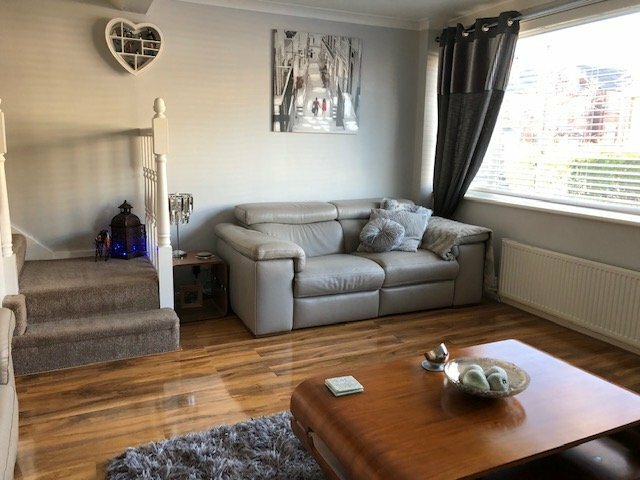 Large panoramic UPVC double glazed window to the front of the property; contemporary gloss ‘walnut’ engineered timber flooring; staircase with spindled balustrade leading to the second floor; radiator; television point. 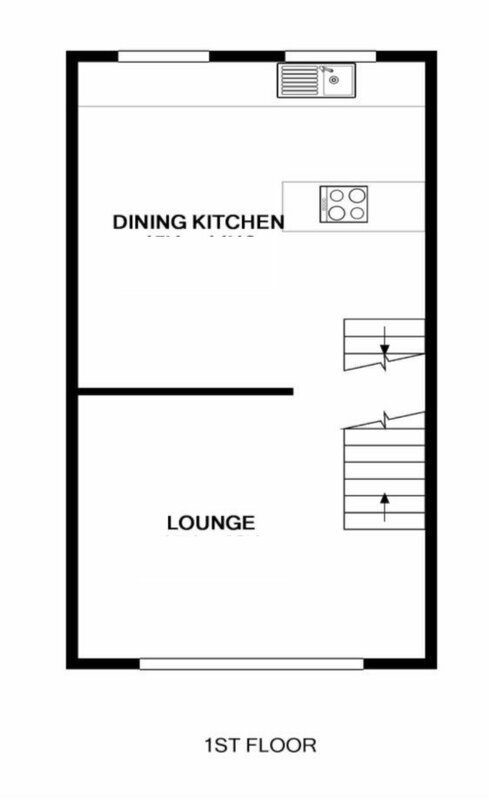 Fitted with a range of modern ‘Maple’ effect units with a charcoal grey worktop surface; inset 1 ½ bowl single drainer sink unit; 2 double and 3 single base cupboards; 3 wall cupboards; integrated dishwasher; space and plumbing for automatic washing machine; space and point for electric cooker; two UPVC double glazed windows overlooking the rear garden; contemporary ‘grey’ wall tiling to kitchen area; contemporary gloss ‘walnut’ engineered timber flooring; space for dining table and furniture. 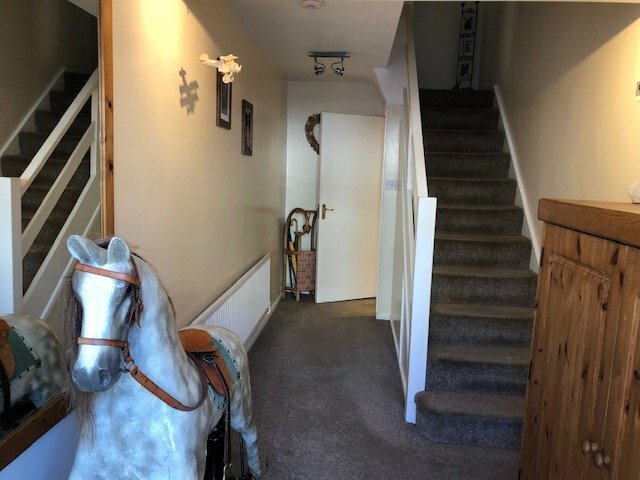 Access to insulated loft with ladder, power and partial boarding; carpet flooring. 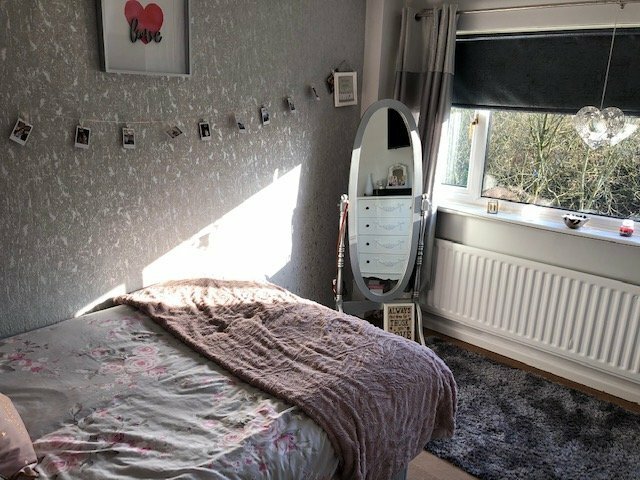 UPVC double glazed window to the front of the property; radiator, television point; carpet flooring. 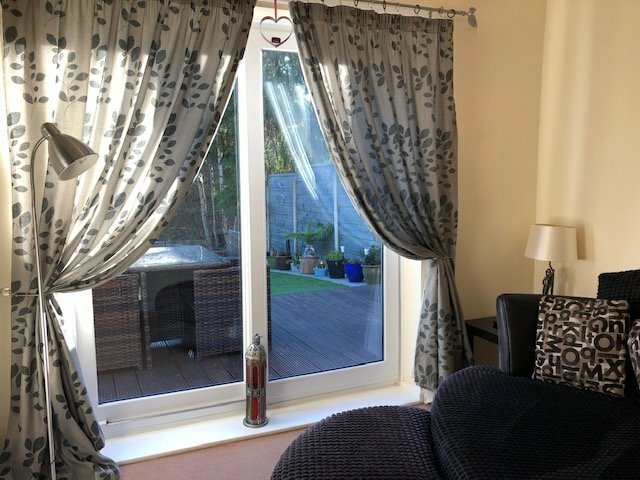 UPVC double glazed window to the rear of the property; radiator, television point; carpet flooring. 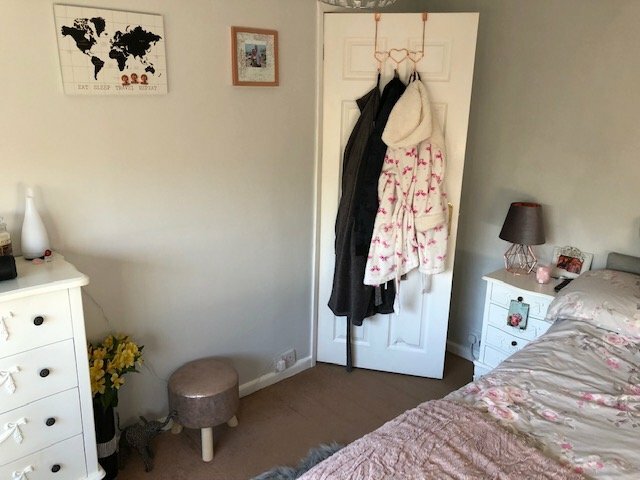 UPVC double glazed window to the front of the property; built in wardrobe with hanging rail; radiator, television point; carpet flooring. Open walk-in shower base with glazed side screens; glass wash hand bowl sat on a gloss ‘Walnut’ effect vanity with a range of cupboards; concealed system WC; contemporary ‘grey’ floor and wall tiling; inset LED lighting; chrome towel radiator; UPVC double glazed window to the rear of the property. The rear garden is accessed from hallway or from patio doors in bedroom 5 / the sun lounge onto a decked patio area. 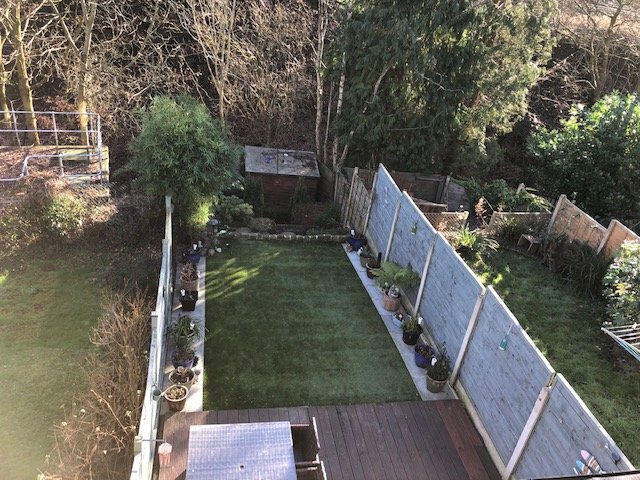 The garden benefits from an Astro-turf lawn with established borders and high-level boundary fencing. There is timber garden shed at the end of the garden. The rear garden is not directly overlooked and has a southernly aspect. TENURE: We understand from the seller, the property has a Freehold title. Confirmation will be provided by the seller’s solicitors before contracts are entered.